I have a fun and fabulous freebie for you today! If you'd like to learn how to crochet or would like to brush up on your skills, here is an eGuide from Craftsy, The Beginner's Guide To Crochet! This 20 page eGuide, exclusively from Craftsy is all you need to get started in the wonderful world of crochet. This downloadable and printable guide is in an easy to use PDF format, perfect for tucking inside of your yarn basket or tote for a handy reference. The Beginner's Guide To Crochet is taught by experts Ashley Little, Jessica Hutton, Linda Permann & Andrea Sanchez. 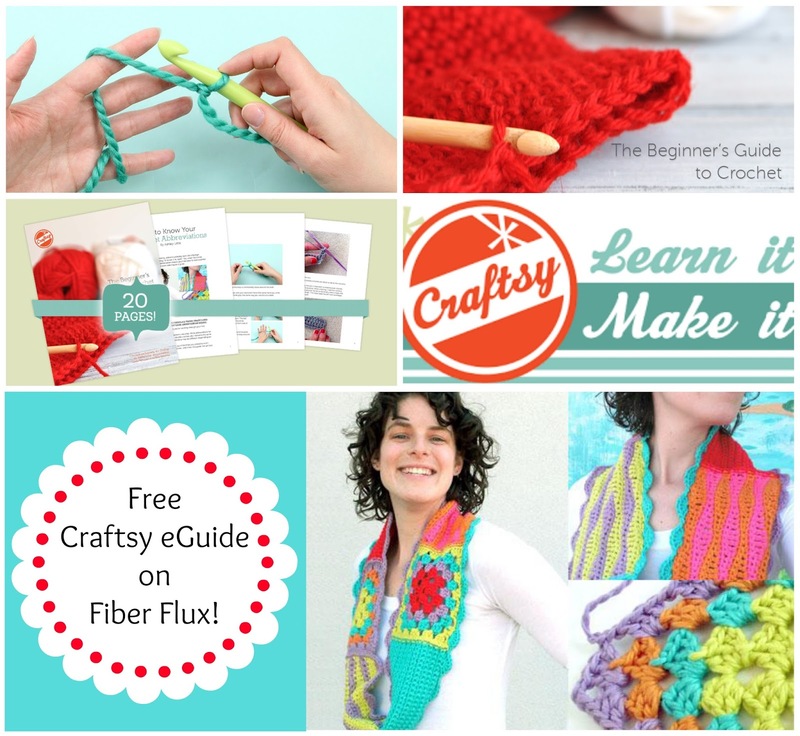 Full color step by step photographs and expert tips will guide you through each step of the way to creating you own fabulous crochet projects. All you need is a hook and yarn and you're ready to go! Note: If you've never used Craftsy, you need to sign up. Once logged in, you can have access to lots of other fun freebies like free patterns and free classes too! This post is sponsored by Craftsy, all opinions are my own. Please read my disclosure policy here. I need this yarn for me grandkids gifts.